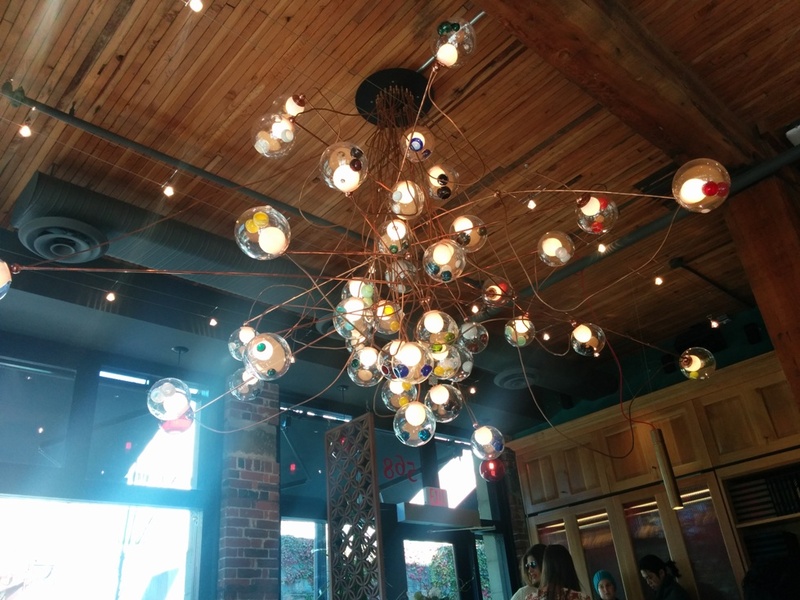 The new location of Nero Belgian Waffle Bar opened up a while back and I finally checked it out. I no longer need to trek to the West End to get my waffle fix! The new location is on the corner of Seymour and Nelson and it’s a lot more spacious aka less waiting! This Nero’s felt more cozy with the red brick-coloured walls and chair cushions; and the dim lighting. They have some snug looking window booth seats and also patio seating as well. 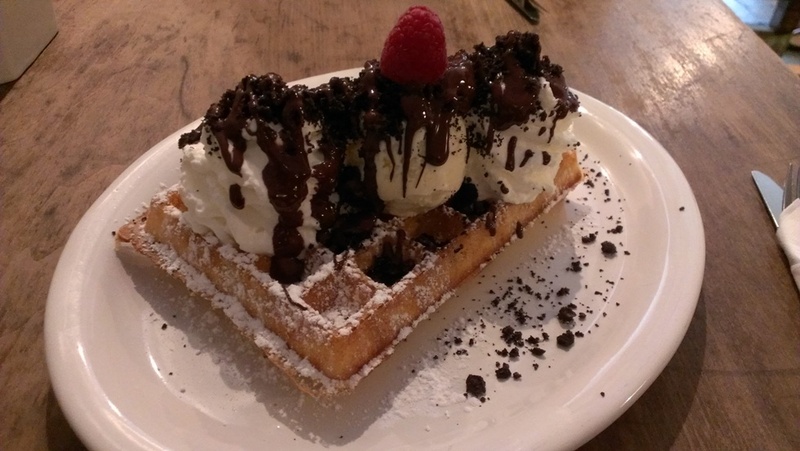 This entry was posted in Desserts and tagged Belgian waffles, waffles. Chambar is the sister restaurant of Cafe Medina and they basically have the same brunch menu but without the lineups! In fact, they take reservations! They’re right beside the Stadium-Chinatown skytrain station on Beatty Street. This entry was posted in Breakfast/Brunch, Food Reviews and tagged Belgian waffles, brunch, liege waffles, paella. I finally made it to Nero Belgian Waffle Bar!!! FINALLY. Nero is quite tiny inside but we went early at around 6pm before it started to get busy so we didn’t have to wait for a table. Yay! My friend and I decided to share one waffle. We decided on sharing The Biscuit which had vanilla ice cream whipped cream, Oreo cookie crumble and dark Belgian chocolate drizzled over it. You can choose to have a liege waffle or a Brussels waffle. The Brussels waffle is bigger and it can hold all the toppings better so we went with that. It was super delicious! I think this is what they call love at first bite <3 The waffle was crispy on the outside and warm, soft and fluffy on the inside. Mmm this is waffle heaven!!! You also can’t go wrong with ice cream, whipped cream, Oreo and chocolate! We should’ve ordered another waffle! My friend says her favourite is the Bresilienne which has hazelnut crumble and caramel sauce. This entry was posted in Desserts, Food Reviews and tagged Belgian waffles, desserts, ice cream, waffles.